The friture Vandermeulen of Jette has found a unique way to celebrate its 130th anniversary: Giving away packets of chips on Grand’Place. The company’s mobile chips van has been on the square since noon and plans to stay until 20.00, or until supplies last. But it’s a lot of supplies: Vandermeulen plans to give away one tonne of chips. That’s about 4,000 packs. Jonathan Vandermeulen, 23, is the fourth generation owner of the chips van, and the give-away was his idea. Vandermeulen’s permanent location is on Rue Leopold in Jette, but its red van is often serving chips it other spots around Brussels, such as on Place Peter Benoit and Place Flagey. It also travels to special events both inside and outside of Belgium. 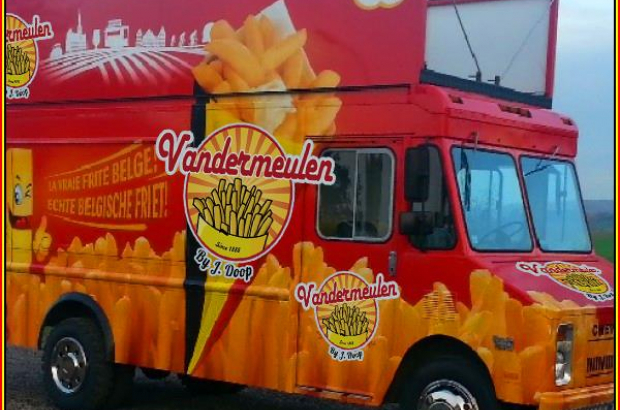 Anyone looking for free fries can find the truck in Grand’Place until 20.00.